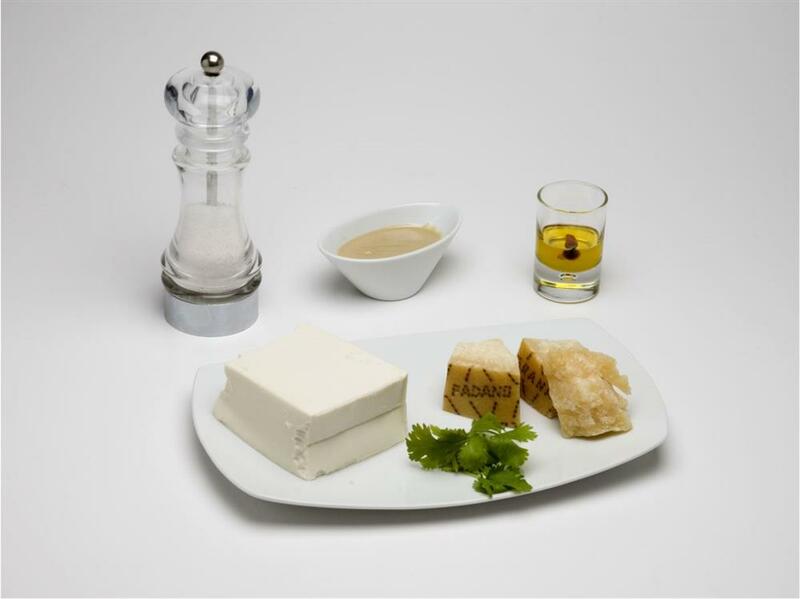 Cut the tofu into 2-cm wide cubes, let boil for 1 minute in water, drain and arrange in a platter. 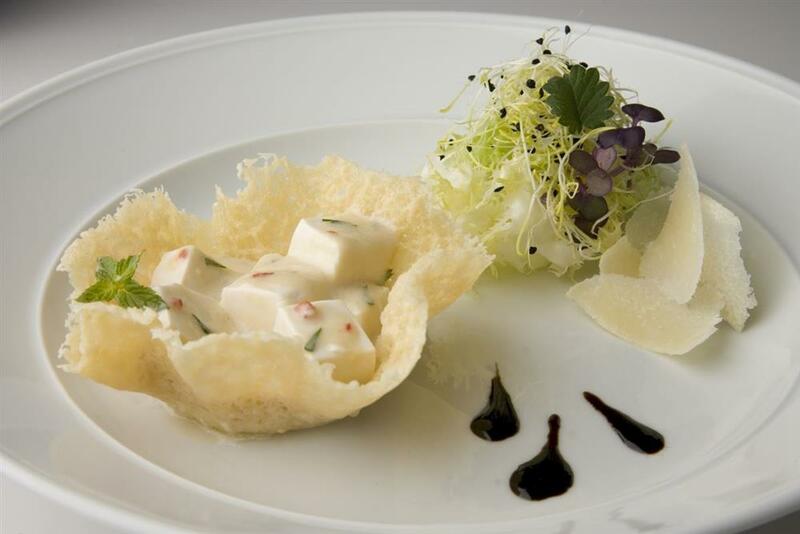 Prepare the sauce by mixing the sesame paste with little water, pour over the bean curd, dress with the spicy oil, the coriander and serve in a Grana Padano basket, garnishing with cheese shavings. lay out disks of grated Grana Padano on a silpat, let melt in a microwave oven for 25 seconds. Take them out of the oven and while they are still soft place them on an upside down cup or glass, shaping them into small baskets.